> upper end of the Grand Gallery? You have to obviously build the pyramid up to that point to create the GG in the first place, meaning a different system would be used for the rest of the blocks. 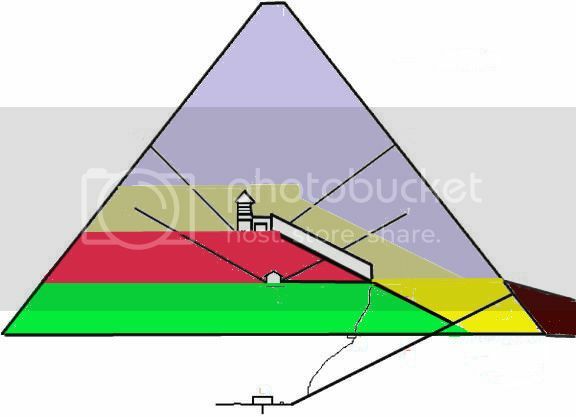 To use the GG to haul the blocks the entire way you would need to have left a channel through the core of the pyramid at the same angle as the GG running to ground level or not build that face of the pyramid until after the GG had completed its job. One of the problems I see is that you are adding well more than 100ft(65ft + GG angle to ground + extra slack) of length to your rope which given the GG is already 156+ft long makes for some amazingly long ropes. What is the limit of AE rope technology? Also, pulling such heavy weights another 100ft increases stresses and torque required of the machine which to account for the extra travel may have been beyond the logistical if not mechanical design of the system. I think it is more likely, if this was the case, a second system was positioned at the bottom of the GG, the 65ft course deck, and the blocks moved to there and transitioned to the GG system to get it the rest of the way. 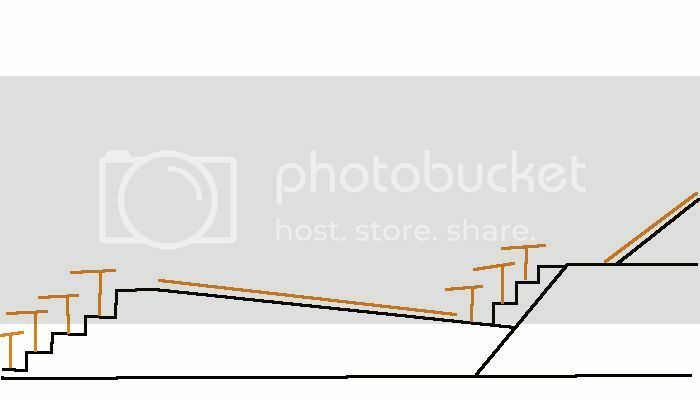 However, I think that the inverted inclined ramp and crane system is a much easier and safer way to get it to that point so all things considered I am leaning towards that.